When people first think of relics they probably think of some article that has survived from an earlier time. This can be true for what we know as relics, but our idea of relics means that the article either is a part of or belonged to a saint. The Greek word for relic is λειψανο, which also is can be used for the word corpse in Greek, so we see a connection between relics and bodies. For us, relics can be an article of clothing or vestment that a saint wore, a piece of their bones, a piece of their body, or even their entire body. Remarkably, I read that if a body is left outside, maggots can consume 60% of it in 7 days, which shows even more how miraculous it is for the relics of the entire bodies of saints are able to still be with us. In the United States there is one relic of an incorrupt body of a saint and that is St. John Maximovitch, which was discovered as incorrupt in 1993, while he fell asleep in the Lord in 1966. 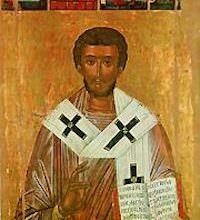 Throughout the world there are several incorrupt relics of the saints: St. Dionysios of Zakynthos (1622 AD), St. Spyridon of Trimythous (348 AD), St. Gerasimos of Kephalonia (1570/79 AD), St. Theophano (897 AD), St. Euphemia (303 AD), Solomone mother of the Holy Maccabees (from before Christ), and more. The first three that I mentioned, St. Dionysios, Spryridon and Gerasimos, are considered “Walking Saints.” Their reliquary will seem locked from the inside at times of the year and their shoes become worn down, and due to the many miraculous sightings of the saints, they are considered to be “walking.” Pieces of their shoes are given as relics to the faithful as well. 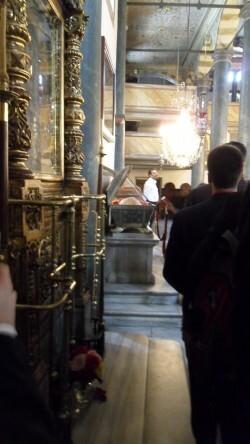 Relics play an important role in the Greek Orthodox Church. When a church is consecrated or dedicated as a holy place that will be used for worship, a piece of relic is sealed into the altar table with a combination of holy chrism and a bonding agent. This comes from the ancient practice of having liturgy on the tombs of the martyrs, which comes from the early Church, when they had to do secret liturgies in fear of persecution. Once Christianity became legalized, this tradition continued unto this day. 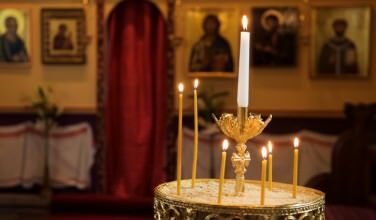 What is the Presanctified Liturgy? 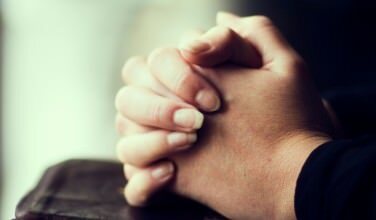 As Greek Orthodox Christians, Why Do We Say the Creed?